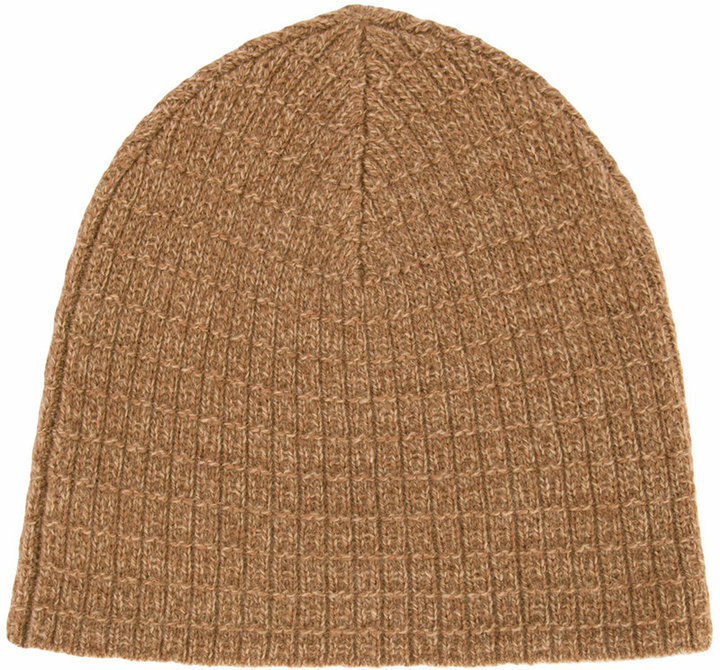 Wear a grey cotton blazer and a Caramel gneiss beanie to create a great weekend-ready look. For something more on the daring side to complement this outfit, rock a pair of grey suede high top sneakers. 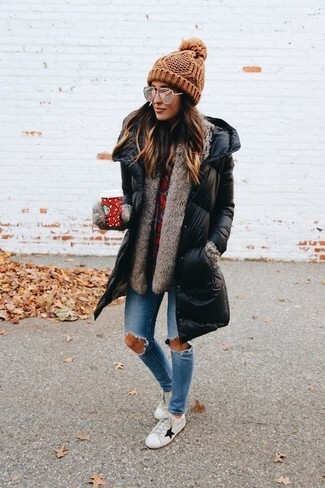 We're all seeking comfort when it comes to dressing up, and this combination of a black puffer coat and a Caramel gneiss beanie is an amazing example of that. Sporting a pair of white leather low top sneakers is a simple way to add some flair to your outfit.